Hungary is known for its friendly people that are always ready to help tourists to see and experience a unique beauty of their country. 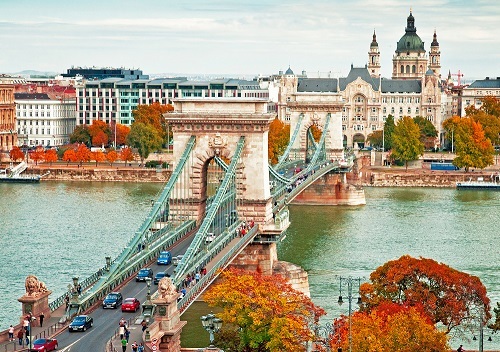 With its breathtaking lush forests, spectacular landscapes, serene lakes, unusual museums, castles, palaces, and fabulous cathedrals, Hungary attracts over a million tourists from around the world each year. Castle Hill, Matthias Church, St. Stephen’s Basilica, Vajdahunyad Castle, Margaret Island, Miniversum, Gresham Palace, Music Fountain, and Budapest Zoo & Botanical Garden are among the most visited places in Hungary. According to the Global Peace Index report 2017, Hungary is one of the most peaceful countries in the world. Although the country had some problems in the past, nowadays it’s rather peaceful to visit and live in. Hiking, biking, camping, and backpacking are popular summer activities, while skiing is a perfect winter option.